The 10-hour trip is definitely worth it. Jomalig Island has always been at the top of my dream board—a plan that never pushed through after several attempts. This year, my friends and I decided to fulfill that long overdue plan. In case you’re wondering, Jomalig Island (pronounced as “humalig”) is an island municipality far east off the coast of Quezon Province. 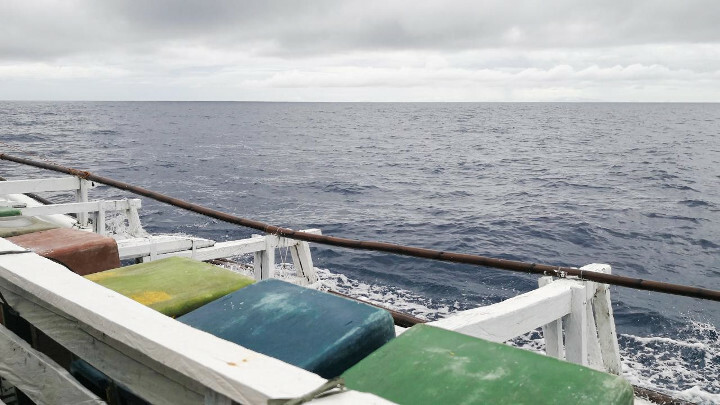 Located in the middle of the Philippine Sea, getting there isn’t an easy feat. A grueling 10-hour travel in land and sea is needed in order to visit such paradise. We rode a cargo vessel and were greeted with a mourning sky. The erratic weather we faced is a tough adventure already, but the reward is worth it.